Great Blogs for SEO: You can do it! Mar 14, 2018 | By: Molly M.
To follow my last post, I am here to help you conquer one of the ultimate questions in your online business: To blog, or not to blog? I know a lot of you have tried, or have thought about it, but decided you don't have the time nor the writing skills to accomplish it. I am happy to tell you it is easier than you think! Google and other search engines love websites who are consistently updating with new content. This shows them that you are staying up to date in the market and have a regular client base. Knowing this, they are more likely to push your business in search results because they want to provide the most relevant and popular search results. Using some of your keywords in blogs can be a great way to build your rankings with search engines. You can easily do this by mentioning the who (clients, vendors, etc. ), what (senior portraits, cake decorating tips, etc.) and where (city, venue, etc.). Having these words on the visual and back end of your website confirms with search engines that you are relevant for these searches. Sharing your blog post on Facebook is a great and easy way to drive traffic to your website. You can share your post in one click of the "Share" button! Follow this tutorial if you have never used this before: How to share blog to Facebook. I DON’T HAVE TIME TO BLOG! You do not have to write a whole story to have a good blog post. Most people only spend an average of 37 seconds reading your blog post, so don't waste your time stressing about the content. Start with 1 to 2 paragraphs and focus on the who, what, where, when, and why to accomplish this. This will help you capture the keywords, while also providing the information clients need to know to stay engaged without being scared off with lengthy posts. Blogging once a week is best practice, but try starting with at least 2 a month. Pick your favorite sessions or events to help get excited about it, and don't forget to share on Facebook! How to Decorate a Cake like a Pro! Keep it short and sweet! Write 1-2 paragraphs explaining the who, what, where, when, and why. Add at most 10-15 engaging images and use the pinboard layout to allow users to easily navigate through these. Always leave your readers wanting more! Add 1-2 buttons on every blog post: one linking to the associated gallery or event page, and one connecting to your contact page. Most users bounce from a blog quickly, and this will ensure they are bouncing to a different part of your website rather than away from it all together. Molly M is Google Analytics (GAIQ) certified and has a technical & creative background in web design, business administration, SEO and digital marketing. 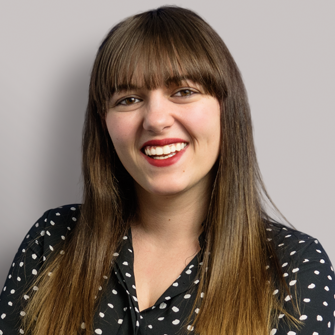 Having 2 degrees in Business Administration with a focus in marketing, Molly is able to provide creative strategies to improve both your online presence and the confidence you have in your business. We can help you create a blogging strategy that really works! Our SEO experts know what works for creating an effective content plan. With SEO GO, we'll fine-tune your entire website AND give you monthly blog topics that have proven to increase traffic for businesses like yours. Give your blogging strategy a boost with SEO GO! 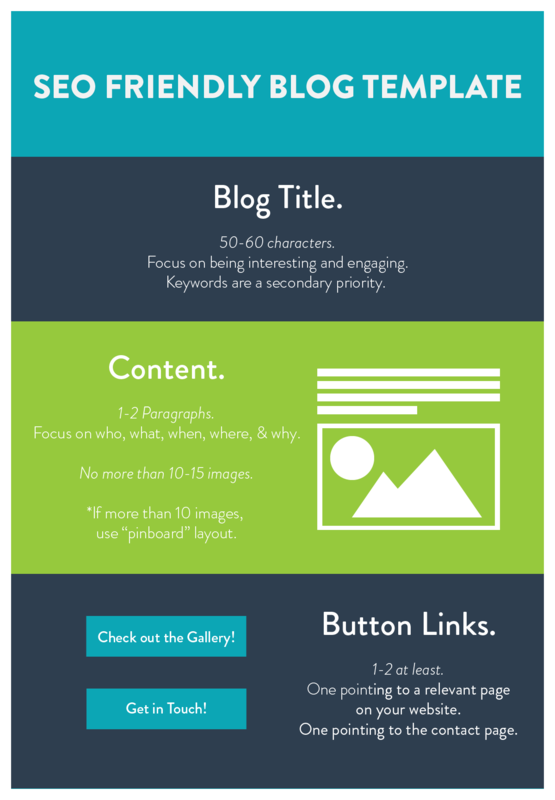 Blogging For SEO - Use This Template!